Stephanie Rogers/Winter, owner and director provides leadership and direction to a successful program of beginner and advanced gymnastics, tumbling and cheer. Our staff has the right knowledge, experience and understanding to guide and challenge your child through each developmental milestone. Our coaches are well trained and kid friendly. Each coach believes that feeling competent physically leads to a general belief, “I am capable” which is a foundation component of a healthy self-esteem. 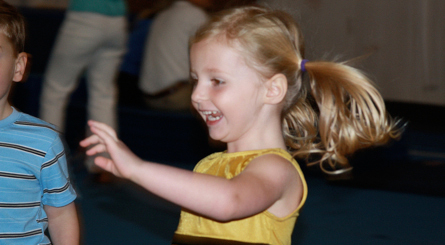 Our coaches know how to make learning successful, fun and exciting for all children. 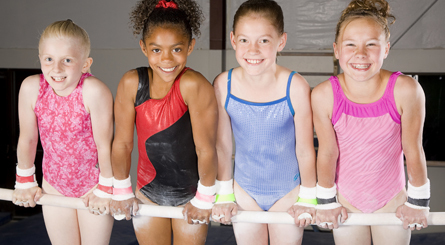 Each one believes that gymnastics and tumbling helps develop increased fitness and better yet, lasting fitness habits. As they work to make a positive difference in the lives of children, they strive to show respect to the children, the parents and other coaches. They keep the classes safe, clearly communicate expectations and catch the children doing things right. You will find that Central Gymnastics Academy is known for having the highest quality in staff, and facility. Stephanie Rogers/Winter– A former dancer and gymnast from age 3 to age 18. Competing from 1991-1996 at Rockdale Gymnastics and four years of high school gymnastics at Salem High School. Stephanie has been coaching since 1998 and has coached many levels of gymnast, tumblers, team, and preschoolers. Stephanie is a graduate from Dekalb Technical College. Graduated in 2001 with an Early Childhood Education. Married on May 26th, 2012 to David Winter; and are the proud parents of a baby girl born May 23rd, 2016. Stephanie is so thankful to be the business owner of a sport she loves and enjoys being able to share the experience with her amazing family who helps make everything run smoothly. Vickie Rogers/Jay- Is the co-owner of the gym. She has been coaching since 2002 and has coached many levels of gymnast, tumblers, team, preschoolers and loves the sport. Vickie is a graduate of KSU. She graduated in 2006 with a BS in Exercise and Health Science. Vickie grew-up in the world of gymnastics and dance. Competed as a child at Rockdale Gymnastics and in high school at Salem High School. Vickie is excited to take on co-ownership with her sister Stephanie. Vickie is also taking on a role as a KSU teacher for their college class of gymnastics. We are excited to have KSU be part of our facility. Vickie has recently married Justin Jay and will on June 16th 2013. Fun Facts: Vickie likes Target gift cards, Taco Bell, Chick-fil-a, she loves Ice cream and her favorite color is blue. She has two dogs that she loves and spoils. Brenda Rogers-Is a great part of our office staff. She is the proud mother of Vickie and Stephanie and enjoys coming to work to see all the little gymnast and spending time with her daughters. Before taking on a new role Brenda was a full time mother and then became a key holder and fabric specialist for JoAnn Fabrics for the past 15 years. She has also worked as an assistant and trainer at a Women’s Physical Center when she had lived in Illinois. She was born and raised in Illinois and moved to Conyers, GA in 1990. She is married to Steve Rogers and has been married for 40 years. Brenda recently has relocated and is now living in the Acworth area as of 2016. We are glad to have her living close and not commuting to work each week from Conyers. Fun Facts: Her favorite gift cards are Target, Starbucks, or any resturant. Her favoite resturant is Chick-fil-a and she enjoyes coffee and likes the color blue. Ashley Ivery- We are excited to welcome Ashley on full time in 2015 with us. We have loved having her at our gym these past years. She is a graduate of West Laurens High School. Attended Middle Georgia College for 5 years and graduated with an Exercise and Science and a 2015 Graduate of KSU Ashley also cheered for KSU while she finished her college career. Ashely grew up in a gym and watched her father coach tumbling for many years. Ashley was an outstanding coach from 2008-2012 at her last gym and we are very excited we get to see her in action here in our gym. Ashley has been coaching with us since 2013. Ashley gives great corrections and advice to the gymnast and tumblers in the gym. She has a very sweet and quiet personality that all the kids adore. Devin Daniels– Has been a great addition to our gym since we opened our doors in 2010. She has been coaching with us since our doors opened in 2010. Devin is a graduate from Harrison High School and is attended Chattahoochee Tech and majored in Surgical Technology and graduated in May 2015. We are so proud of her. Devin is a former gymnast from age 6-10 and was a gymnast for Harrison High School Varsity Team. 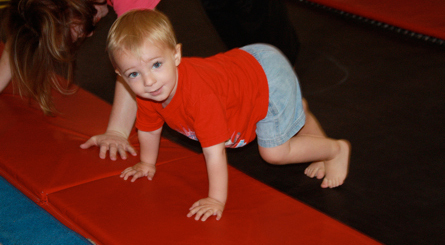 Devin coaches all levels of gymnastics, tumbling, preschool, and is one of our main birthday party staff members. We love having Devin at our gym and the kids love seeing her each week as well. When Devin coaches class the kids love her excitement and imagination. She captures the hearts of all the kids and helps them believe they can achieve skills as long as they keep trying and they work hard. Devin got engaged in 2013 we couldn’t be more happy for her and her fiancé’ Adam. Devin and Adam are expecting their first child in March 2016. Fun Facts: Devin likes Target, Starbucks, and Daily Grind giftcards, she likes eating at Chick-fil-a and Wendys. She like’s coffee, candy, and ice cream and her favorite colors are purple and blue. Jordan Rice- A graduate from KSU with the study of Sprots Management. We enjoyed having Jordan with us during her internship and we are excited she is contuning with us. Jordan was a gymnast for 16 years she also was a high school gymnast. Jordan has been coaching for 5 years plus and we are very glad that we will watch her continuing her coaching carrer.